In the Treasure Valley, approximately 25% of adults have untreated cavities and tooth decay. Even more, most people don’t even realize it. If they do realize it, visiting their Boise dentist may not be at the top of their priority list. With that said, dental technology has evolved drastically over the years, making a visit to Summit Dental much more comfortable. 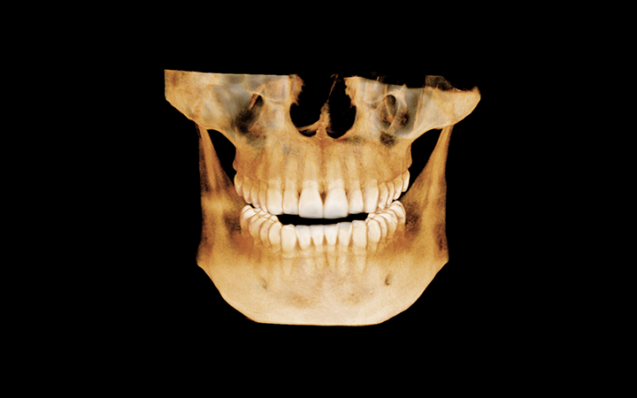 In fact, the latest, cutting-edge technology we offer comes in the form of 3D dental x-rays. Using the Green16 Advanced 4-in-1 digital x-ray imaging system, we can get detailed images of your mouth in a matter of seconds. That’s why we’d like to provide you with the following information about 3D x-rays and the benefits they offer. Using the Green16 Advanced 4-in-1 digital x-ray imaging system, images can be converted into a three-dimensional view to improve diagnostic accuracy with increased treatment planning and patient satisfaction. 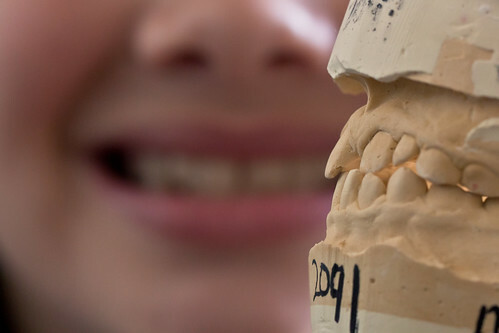 These images provide our Boise dentists with the most complete views of dental anatomy ever taken. Even more, the process is fast and easy allowing us to see all views of a patient’s mouth, including bone structure, jaw anatomy, soft tissues, and nerve tracks. This helps us to implement special procedures such as root canals and implants in the most effective way possible. The best part? There is no need for special preparation and no discomfort will be experienced by a patient. With the ability to view everything about a patient’s mouth, confidence in both diagnosis and treatment is high. 3D dental x-rays give your Boise dentist with the ability to provide you with a complete picture of all your dental and jaw areas. As a patient, this will help to decrease your stress levels when you are able to see a complete picture of any problem areas while discussing your treatment options with your dentist. Even more, you will be provided with quality assurance knowing your dentist can make the best decision for your mouth. At Summit Dental Group, we rely on digital x-rays to help us diagnose and treat a wide variety of oral health conditions. Now that you know more about the 3D dental x-rays we offer, it’s time to take the necessary steps forward to take care of any existing problems to obtain a healthy, beautiful smile. For more information or to schedule an appointment, contact us at (208) 345-8962 today or fill out our online form and we will get back with you ASAP. The team here at Summit Dental Group is committed to helping patients throughout the Treasure Valley, offering state-of-the-art cosmetic and restorative dentistry treatment services. While all the procedures we offer are helpful, we do believe in the basics, which is why we think regular Boise dental exams and cleanings are so important when it comes to maintaining a healthy, beautiful smile. When it comes to good oral health, you won’t go wrong by sticking to the basics. This means addressing things like tooth decay and gum disease with a focus on preventative care. As the cornerstones of general dentistry and routine dental visits, they should never be taken for granted. That’s why it’s so important to visit your Boise dentist every six months for a regular exam. During a routine Boise dental exam, a patient can expect to undergo x-rays and basic diagnostics to check for hidden dental abnormalities. This allows our dentists to get a better look at your teeth and gums in order to recommend an effective treatment plan. Early detection of problems can save our patients from unnecessary pain, discomfort, and money. X-rays should be taken every few years depending on your medical history and risk. Keep in mind that dental x-rays are completely safe because the amount of radiation exposure is very minimal. Another crucial part of a regular dental visit is a routine cleaning. A regular Boise teeth cleaning by a dental hygienist is recommended to remove tartar that may develop even with careful brushing and flossing. There are some areas of the mouth that are difficult to reach with a regular toothbrush and floss. A professional Boise teeth cleaning includes tooth scaling and tooth polishing. If there is a large amount of tartar buildup, sometimes other instruments are used also to loosen and remove deposits from the teeth. It is recommended that teeth be professionally cleaned at least one to two times per year. More frequent cleaning may be necessary if other dental or oral problems are present. Once your teeth have been cleaned, your Boise dentist will then check your teeth and gums carefully. This allows us to note any cavities that may be forming as well as any other underlying issues that can affect your oral health. Lastly, a consultation is done to discuss treatment options, allowing you to make an informed decision and proceed with the best course of treatment recommended by your Boise dentist. Treatment options can include filling a simple cavity or a more major dental procedure like a root canal. This will allow you and your dentist to address any risks and benefits while clearing up any concerns that you may have about a future treatment option. A routine exam and cleaning is a wonderful time for your Boise dentist to offer some helpful tips for preventative dentistry and advanced dental care. 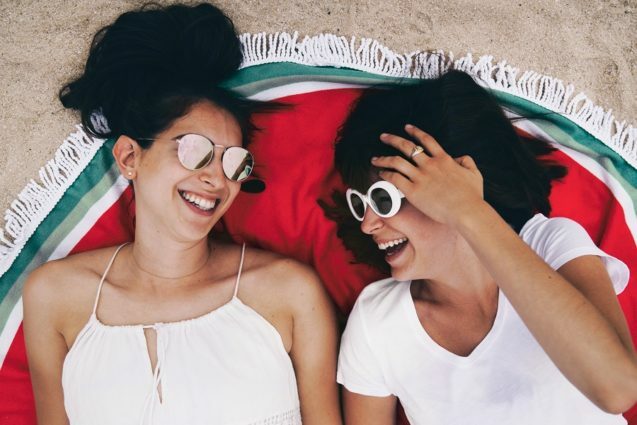 This can include pointing out issues with your oral hygiene techniques or recommending ways to prevent serious dental problems from developing based on your current needs and concerns. As a practice, Summit Dental believes that preventative care and education are extremely important to optimal dental health. We focus on thorough exams, checking the overall health of teeth and gums, knowing how crucial this is to preventing dental disease. Not only are we concerned about the beauty of our patient’s smile, we are also concerned about the overall health of our patients. 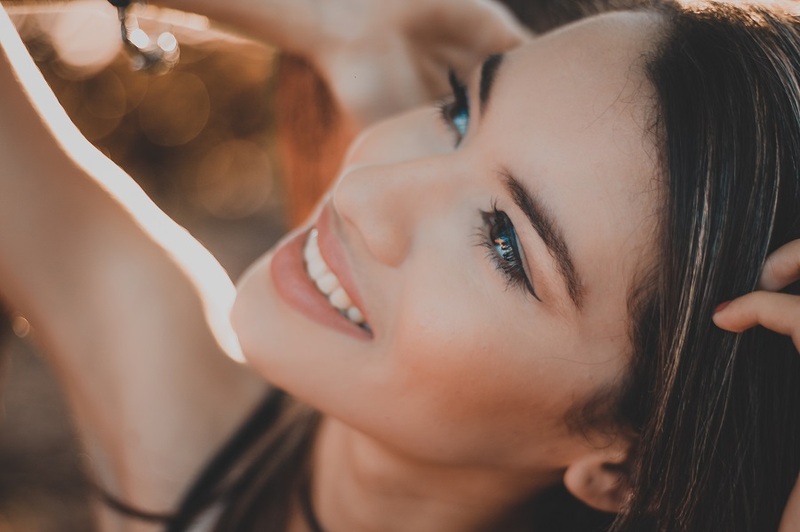 Whether your dental needs are a complete exam and cleaning, a full mouth restoration, or anything in between, Summit Dental Group will provide exceptional care as we restore and enhance the natural beauty of your smile. For more information about the cosmetic and restorative dentistry services we offer, contact Summit Dental at (208) 345-8962. Dental X-Rays Vs. Impressions – What’s the Difference? A tooth’s root. This is especially important to see if the teeth are straight and healthy, or if there is room for a dental implant. Cavities. While our Boise dentists can see a cavity when inspecting a patient’s teeth, a dental x ray can be helpful in discovering just how big the cavity is. Impacted teeth. Boise dental x-rays will show a child’s adult teeth under their baby teeth in addition to showing the position of wisdom teeth in adults. Bone and gum loss or abnormalities. If you have suffered bone or gum loss from a disease, Boise dental x-rays can show our Boise dentists the extent of the damage. The patient’s bite. With a dental impression, our Boise dentists can see exactly how your teeth and jaws fit together. This is useful for seeing how to make a dental crown, but it can also be helpful in seeing how your jaws align. The shape and size of a tooth. When you need a dental crown or implant, our Boise dentists can get the exact shape and size of your teeth thanks to a dental impression. The shape and size of all your teeth. If our dentists need to give you a partial, a mouth guard, or customized teeth whitening trays, we want the exact 3-D design of all of your teeth. A dental impression gives it to us so that whatever we make will be the perfect fit. While you sometimes need both Boise dental x-rays and dental impressions, our Boise dentists have found an easier way to get your dental impressions. Instead of using a putty-like substance with large and uncomfortable trays (as dentists have used for decades), Summit dental has recently purchased CEREC digital impressions technology. Here’s how the new CEREC digital impressions works: Our dentists will run a wand-like camera over your teeth, which sends the CEREC digital impressions onto a computer. The program immediately constructs a 3-D digital likeness of your teeth on screen. These digital impressions are then used just the same as the physical impressions. Want to learn more about the difference between dental x-rays and physical or digital impressions? Ask one of our amazing Boise dentists or staff the next time you are in the office! Advice from Boise Dentists: How Often Should Dental X-Rays be Taken? Some dentists will take a dental x ray from their patients every six months simply because their insurance will pay for it. Others rely on a visual exam and only use dental x-rays if we see a problem. Our Boise dentists tend to side with the latter group. Our Boise dentists prefer to rely on a visual inspection of a child’s teeth instead of taking a dental x ray. The reason? Children may be more vulnerable to radiation than adults. And a visual inspection is a good way to see if there is any need to get a dental x ray. As children get older, we might recommend getting x-rays every one or two years. If possible, we (and the American Pregnancy Association) recommend waiting on non-emergency dental x-rays until after the pregnancy. While radiation levels are very low as explained below, we just don’t see the need to take any chances, especially during the first trimester. Don’t take this as a ticket out of making an appointment with our Boise dentists during pregnancy, however! Treating cavities and other dental problems is extremely important during pregnancy due to the stress these issues can bring on the body. People who we know have recurrent issues with their teeth should definitely get a dental x ray more often. This will clearly depend on the patient and their history, however, but a common number would be six months. There have been a lot of conversations lately about the radiation in dental x-rays. Several sources have said that the radiation in dental x-rays is equal to the amount of radiation you get in a day from the sun and other sources. So the levels are generally pretty low. However, radiation exposure cumulates over a lifetime, so there is good reason to not be too hasty to get dental x-rays done. Hopefully this will give an insight into how our office works with dental x-rays. Got more questions? Feel free to talk to us or send us a note, and we might write about it here! Our Boise Dentists Will Suggest Boise Dental X-rays When…. You are a new dental patient. If we are just getting to know you, we will usually start with a comprehensive new patient exam. That includes a thorough examination of the teeth and mouth, a cancer and periodontal screening, and dental X-rays. This way, we can get to understand as much as possible about your oral health right away. It’s your annual exam. We generally recommend that our dental patients get Boise dental X-rays every two years at their annual appointment. Of course, this will depend on your oral health, medical history, and your risk for dental disease. By getting dental X-rays every two years, we can stay one step ahead of any bone loss or disease. You are growing up. Kids generally need more X-rays than adults because their teeth are still growing and developing, and they are more vulnerable to tooth decay. Our Boise Dentists may need to take an X-ray to see how teeth are growing or whether there are any other problems. You need implants or a crown. Dental X-rays give our Boise Dentists the proper map to put in an implant or add a crown. It can tell them if you have enough bone mass for an implant or if there are any problems that could interfere with a procedure. Dental X-rays allow our Boise Dentists to see bone loss, tooth decay, the effect of trauma, and even cancer. While you usually only get dental X-rays every few years, things like cavities or a dental procedure may make dental X-rays the best choice. Have more questions about dental X-rays? Stop by our Boise office and ask us!